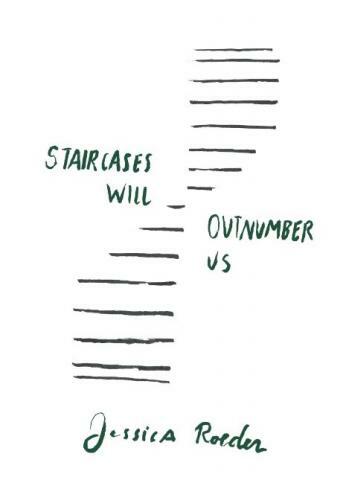 Jessica Roeder’s chapbook, Staircases Will Outnumber Us, is now available from Red Bird Chapbooks. Jessica was a contributor to The Conium Review: Vol. 5 with her story, “Birth.” Congrats on the new chapbook, Jessica! The 2017 Best Small Fictions lineup has been announced. We nominated five stories for the anthology. We’re pleased to report that “Gazebo,” by Shane Jones was selected as a finalist. This story originally appeared in The Conium Review: Vol. 5. Several previous contributors also appear on the list of finalists and winners for stories published in other literary magazines, including Jen Knox (contributor to The Conium Review Vol. 1, No. 1), Ingrid Jendrzejewski (contributor to our website, Vol. 4, and Vol. 5), Philip Sterling (contributor to The Conium Review Online Compendium). Our 2017 Flash Fiction Contest judge, Rebecca Schiff, has also been selected for the anthology. Additionally, our 2016 Flash Fiction Contest judge, Leesa Cross-Smith, was selected as a finalist. Congrats to all the other authors who made the short- and long-list for Best Small Fictions! View the full list here. Ingrid Jendrzejewski is a semifinalist for the Vestal Review Award! Ingrid Jendrzejewski’s “The Box of Skinny Women” has been named a semifinalist for the Vestal Review Award (aka the “VERA”). The next step is a reader’s poll. You can find Ingrid’s story and the other semifinalists on the Vestal Review website. Be sure to vote for your favorite story by December 30th. Kayla Pongrac (contributor to The Conium Review: Vol. 4 and The Conium Review Online Compendium) has a new chapbook forthcoming from Robocup Press. You can pre-order her chapbook, Kettle Whistles the Blues, for $3 off the purchase price (use code NEWTITLESFALL2016 for the discount). Congrats on the new chapbook, Kayla! Melissa Reddish recently wrote a piece for Monkeybicycle‘s “If My Book” series–where authors compare their new books to strange things. Melissa says “If Girl and Flame were a love letter, it would be addressed to Buffy the Vampire Slayer, Gilmore Girls, Joan Jett, Garbage, Fiona Apple, Joan Didion, Margaret Atwood, and my mom.” We couldn’t agree more. Dig deeper into Melissa’s comparative interpretation of her novella here. Marina Petrova has a new short story published at Catapult. Check out “Bolano” here. Marina is currently a fiction editor for The Conium Review. Prior to becoming an editor for us, she was published in Vol. 4 with her story “Dictator in a Jar.” Her work has also appeared in The Brooklyn Rail, The Los Angeles Review of Books, and Late Night Library. She holds an MFA from The New School and lives in New York City.